As new builds unfold on the Legion alpha, adjustments, revisions, additions, and cuts continue to be made to various class toolkits. Given that Death Knights have received a substantial revamp to both their resource structure and talent system, it should come as little surprise that things continue to shift from build to build. Ultimately, however, the basic plans that I outlined in my articles on both AOE and single-target rotations for all three specs remain largely intact, as do several design paradigms that Blizzard has stated as desiring for our class. Thus today’s article begins to examine one such paradigm: Mobility, or the lack thereof, for our class. What is mobility in World of Warcraft and why does it matter? This might seem like an obvious question to some, but I suspect readers would be surprised at the variety of answers it might yield. For the sake of this article, I’m going to define mobility as the ability of a class to exceed the standard movement speed (or, alternatively, overcome distances) at which most classes are tuned whilst running in this game. Note that while characters are capable of walking “realistically” (i.e. RP walking), the majority of the game’s mechanics are built around the baseline expectation of a character constantly running at what we refer to as 100% run speed. “Mobility” refers to abilities or passive traits that allow a character to move in a manner that exceeds more normal speeds at which the game plays. Note that I’m not simply referring to it as “moving faster,” because that’s technically not a holistic definition of the term. Mobility exists in a large variety of flavors, with effects that are baseline for a class/spec or as options in the form of talents. Furthermore, certain talents may offer the option to improve or modify existing mobility options. Some mobility effects can be passive and give a consistent increase to baseline movement speed — the Fleet Footed passive for Rogues being a good example. Others, such as Tiger’s Lust for Monks, can offer a short duration buff that greatly improves movement speed (Tiger’s Lust also has the added bonus of being able to be used on targets other than the Monk). 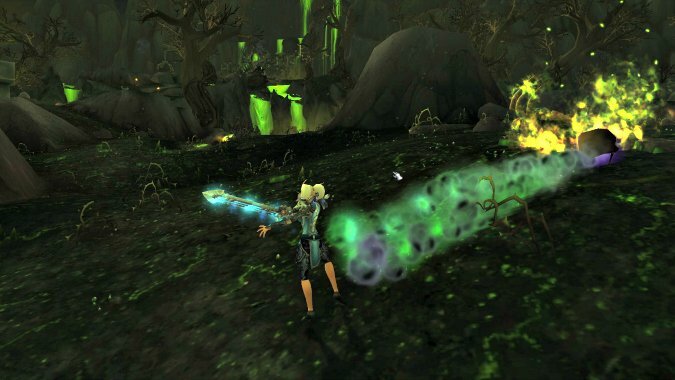 Another subset of mobility tools can go even further by allowing characters to move across distances very quickly or even instantly, with Heroic Leap/Fel Rush and Blink being respective examples. But why does mobility matter? Why should we be concerned with how much mobility any class possesses? Because the ability to travel “faster” from one point to another is invaluable in a game that’s dependent on being able to navigate in the world around us. I’ve noticed an unfortunate tendency among many to discuss or compare mobility solely in matters of raiding or instanced PVP, and while they’re certainly very relevant chunks of the game to examine they’re not the limit to which mobility is relevant. Think about leveling. Think about most forms of quest hubs. Think about the plethora of dungeons (on multiple difficulties) and scenarios. And finally yes, think about battlegrounds, arenas, and raid instances. The point I’m trying to make is that in any aspect of the game where mounts aren’t usable, having a mobility option can mean a lot. This can range from being a simple convenience (in the case of questing) to something near-mandatory in the case of raid mechanics or escaping from enemies in PVP. Indeed, the amount or types of mobility available to a class can often help to define the experience that it shapes for its players. Consider, for example, that the newest class to be added to the game (the Demon Hunter) has the term “unrivaled mobility” as one of its selling points — Blizzard wants you to know that the class being this mobile isn’t just an incidental aspect of its design, but a core part of its identity that helps make it feel so special. Given the numerous forms of mobility that I’ve listed, it should come as little surprise that classes and specs vary in the amount of mobility that they possess. There are countless debates about how different forms of mobility rank against one another, and instances where some heavily outclass others. While there’s little consensus about the specifics, it can generally be agreed that classes tend to be designed across a wide spectrum of mobility. Specifically in the case of Death Knights, our class has always had the dubious honor of a low mobility theme. 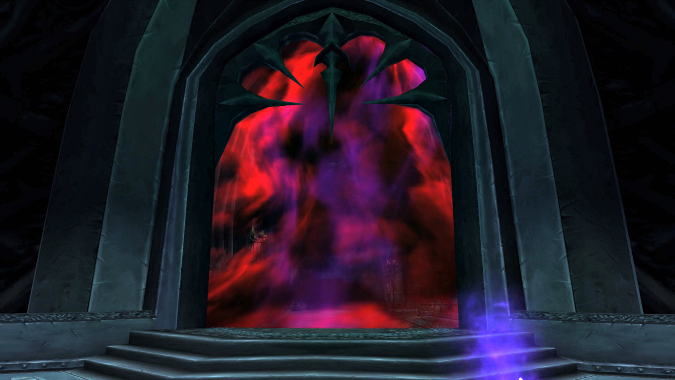 In the past, Blizzard has stated that we are balanced around this by virtue of an increased amount of ranged damage compared to other melee classes, possessing abilities such as Death Grip/Gorefiend’s Grasp and also various stuns and CCs that enable us to maintain a lock on any prey unfortunate enough to be trapped by us. 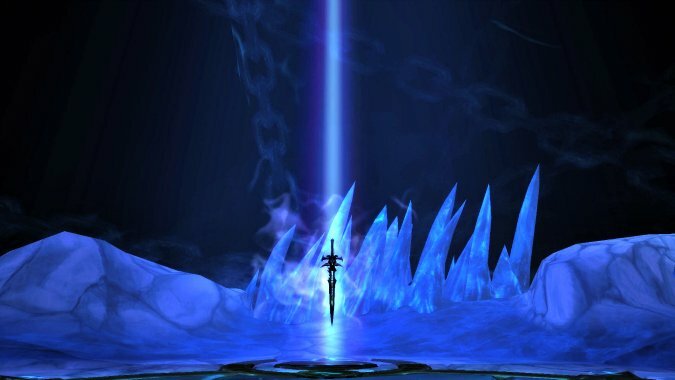 Most recently, as of the Legion Alpha, Blizzard has begun using a term many of us have come to dread: “fantasy.” Specifically, their belief that Death Knights should be slow because they feel that it fits our class fantasy and immersiveness well. Given the innate subjectivity of this argument (not to mention my belief that it’s a poor basis upon which to design classes), I’m not going to humour this argument save for one rebuttal: Remember the part where we’re Death Knights? Emphasis on the second word, which (check the dictionary definition if you don’t believe me) directly implies a mounted soldier in armour. But in the interest of fleshing out the fantasy counterargument another time, let’s just say that Blizzard presents a weak case here. From Mists of Pandaria till now, I’d largely disagreed with complaints about Death Knights not having enough mobility because I didn’t think that they merited as serious a concern as they do now. Mists saw the addition of Death’s Advance, a talent that I consider to be one of the best designed abilities in our toolkit on live. Its passive effect speeds up our baseline movement speed, while its active effect grants us a short duration, low-effective sprint. The weak sprint is counterbalanced by the fact that it operates on a short cooldown (making it usable frequently) and the fact that it also suppressions movement slowing effects. Not only do these qualities seem to fill Blizzard’s idea for what class “fantasy” should be, but also allow for a class to operate on a low mobility spectrum and yet still have an option for clutch movement in cases where it is sorely needed. Try telling me you didn’t thank your lucky stars for Death’s Advance when faced with mechanics such as Ji-Kun’s pushback, Lei Shen’s Helm of Command, or Archimonde’s Seething Corruption. Would these mechanics have been impossible to overcome without the ability? Probably not. Would they have become much harder to deal with and have had a much smaller margin for error? You bet. Indeed, my only real complaint about Death’s Advance in the past has been that it is our only mobility option in the form of a talent, thus weakening its competitive choices. Had it been baseline, I could see many more persuasive reasons to consider taking and switching around various other talents in that tier. But I digress. What does all of this have to do with Legion? I’m glad you asked! Up until now I’ve discussed the fact that Death Knights being on the lower end of the mobility spectrum, while silly from a fantasy standpoint, has actually worked out in terms of game mechanics. This isn’t the case in Legion, however, where various changes to the class have created a situation that I consider to lend itself to extremely poor gameplay. For the first few builds of alpha, Death’s Advance was simply gone with no replacement. Unholy DKs still had a passive movement speed increasing effect (formerly from Unholy Presence), but outside of that the class as a whole lacked any type of basic mobility option. To say it felt “terrible to play” would frankly be an understatement: Not only did mundane tasks such as getting from point to point while questing feel immensely slower, but upon venturing into old raids I realized that I failed nearly every mobility check I’d previously been able to deal with — Ji-kun’s pushback being an excellent example, to the point where I was almost invariably pushed off the platform despite positioning myself at its very center. Blizzard has proven itself fairly stubborn on this matter. Initially, they implemented a “reverse grip” talent for Unholy DKs in an earlier build. Despite being something that community members have asked for as an option in the past, this particular design failed on multiple levels. It was on a whopping 90-second cooldown compared to Death Grip’s 25-second cooldown, removed Grip as a utility button, existed as a talent (which I’ve noted should never be the case for a sole mobility option), and also had numerous other annoying mechanical restrictions; not to mention the fact that it left Blood and Frost out in the cold (pun intended). This talent was later removed, and leads us to our present situation on alpha, where we have indeed had a mobility option added to our baseline toolkit. The question thus remains: Is this option currently sufficient in fulfilling our mobility requirements, keeping in mind the context of other Legion changes? I look forward to sharing my thoughts there in my next article.